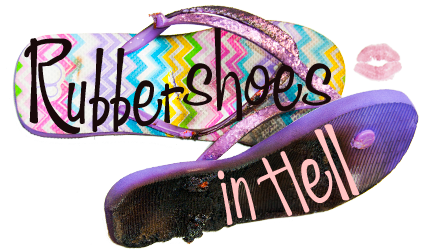 Anxiety - Rubber Shoes in Hell - Often tired, but rarely listless. If you are hurting, I will listen to you. I am not perfect and sometimes, wait to talk, but mostly, I will listen. If you need encouragement, I will be your cheerleader. People who have PTSD, anxiety issues or schizophrenia often experience hypervigilance. I already hate feeling anxious, but when you are hypervigilant, anxiety never really goes away. Even times when I feel calm, what I feel is much less anxious, but not really calm. Confrontation Anxiety: How Do I Feel About That? Someone on Twitter asked me a question. She read my blog post where I talked about a dude speaking inappropriately to me on Twitter. She asked me how sticking up for myself made me feel. That is a complicated goddamn question. And I didn’t even know the question was complicated until someone asked.